Recommended for ages 14 and up. Contains some mature content and language. Children under 6 are not permitted at any production. 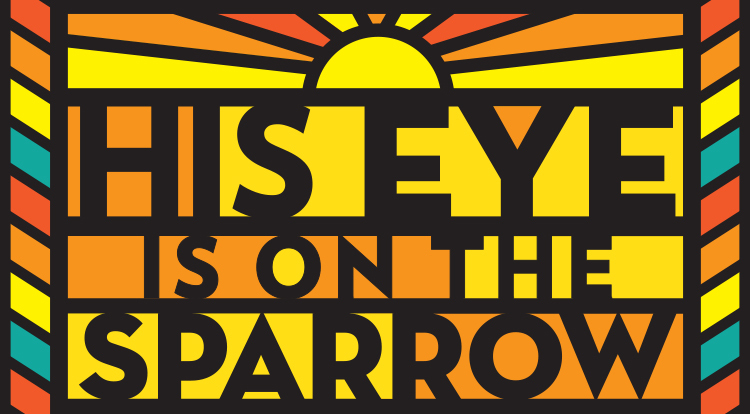 Reviews of "His Eye is on the Sparrow"
"I loved the whole of McQueen's performance. She's funny and heartbreaking and brassy and dynamic and again, again, so authentic. ... what happens during the play: you feel lifted up. 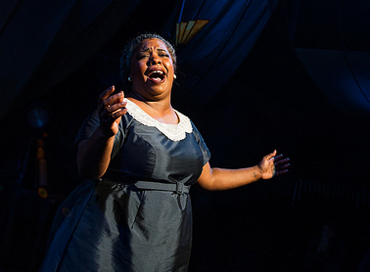 By Ethel Waters' music, her truth, her hilarious barbs, her persistence." Behind the Scenes: "His Eye is on the Sparrow"
Go behind the scenes with the our Scenic Charge (aka paints!) 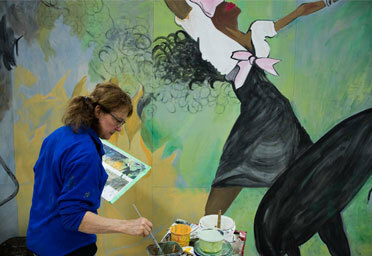 team and artist Elecia Beebe as they bring to life a giant abstract mural depicting the life and times of Ethel Waters for the set of His Eye on the Sparrow. 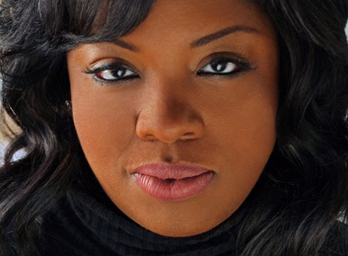 Maiesha McQueen returns to The Armory after starring in Ain't Misbehavin' last season.